Wakeboarding is a dynamic watersport that truly started in the late 80s and today is the fastest-growing sport world wide. Akin to snowboarding, the sports popularity is spreading like wildfire around the globe. Evolving from a combination of surfing, snowboarding, skating and waterskiing, wakeboarding is not only the world’s fastest-growing water board sport but also the most accessible. You can enjoy wakeboarding on lakes, rivers or on the sea. Riders are able to perform awesome BIG AIR tricks, whilst being towed behind a boat, with the use of larger wakes. The rider stands sideways on a shorter, wider board similar in concept to a snowboard. By travelling at a lower speed than in waterskiing and by carrying extra weight (and a compliment of cheering friends), the boat kicks up a big wake. The rider uses this wake as a launch ramp where a variety of tricks are performed. These can range from skate/snowboard inspired grabs and spins to massive flips and soaring jumps. In the same way that snowboarding has brought a cultural revolution to the snowski market, wakeboarding has redefined and reinvented waterskiing. What was once a sport enjoyed by a small group of pioneering individuals, wakeboarding is now a hugely popular global pastime with its own unique attitude and style. Because of its emphasis on freestyle creativity, wakeboarding has an attitude, exuberance and energy that is synonymous with its irreverent style and cultural position. Like other exciting, technically progressive sports taken up by forward thinking trend-setters, wakeboarding has many followers who don’t necessarily practice the sport but really get into the spirit and flavour of its lifestyle. In wakeboarding there are no hard landings to put off the beginners from learning or the professionals from pushing their personal limits to invent new tricks. You will see from this early photo taken in 1965, a selected few waterskiers looking to chill out and ride took to throwing a surf board in their ski boat with a few buddies for wake, little did they know that 40 years later, surf boards with bindings known as wakeboarding wold be so massive, you have only got to look at the waterways to see this. It seems little happened between 1965 and 1979 until Tony Finn from California really grasped the concept, strapped boots to the board and invented wakeboarding. At the same time as Jimmy Redmon was doing the same thing in another part of the US. The “skurfer” was born out of surfing frustration. When there were no waves, the surfers could get towed behind a loaded-up speedboat whose increased wake provided some surfstyle relief. In those days, the lumbering “skurfer” would be surfed on the wake, but as the years went by, lighter more manoeuverable symmetrical boards were developed and the wake’s role changed from wake to launch ramp. In the early 90s, the sport now known as “wakeboarding” encompassed influences from snowboard and skate scene. Over the years we have seen the introduction of obstacles such as sliders, funboxes, kickers and flat bars. This adds another dimension and element to the sport, similar to skate and snowboard and skate scene. The sport made its appearance in Europe in the early to id eighties, with the French surfers and snowboarders riding on the sea in the French Riviera. The sport has since grown rapidly worldwide and enjoys massive media coverage with events being held in exotic locations around the world. Today boats are specifically built with wakeboarding in mind with 65-70% of waterski boats being constructed with wakeboard towers attached, improving the lift off the wake for riders. Of late we have seen a variant of wakeboarding in the shape of wakeskate and wakesurf, just adding to the boarding community on the waters. The IWWF and its federations have been involved in wakeboarding since the mid nineties, with many individual tours taking place in respective countries. 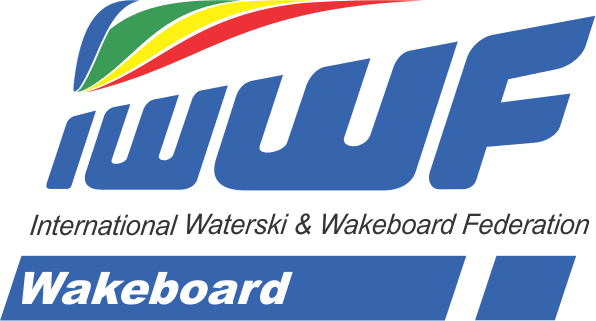 In 1999 the World Wakeboard Council was formed as part of IWSF, with the bringing together of various wakeboarders from all over the world – Brazil, France, Germany, Great Britain, Japan, USA. After an initial start, the WWC has gone from strength to strength to provide a solid base for the International development of wakeboarding through major title events and cash prize competitions for the World’s most elite riders. An International Judging Programme is also in place to assist judges in the task of scoring the sport and calculating the results. In 2003 Colin Hart presented to the IWSF World Congress in Florida, the concept of changing the name of IWSF to include Wakeboarding, followed by many discussions and finally in 2009 lead by prominent wakeboarding figures Neil Harris, Paul Fong and Colin Hart, were successful in their quest to change the name of the International Waterski Federation (IWSF) to also include the word Wakeboard. This name change to IWWF (International Waterski & Wakeboard Federation) has now been instrumental to many national federations also changing their name and being recongised internationally. • 1999 Meeting in Fort Lauderdale, Florida, USA headed by IWSF to establish the IWSF World Wakeboard Council. • 1999 Jean Claude Durrousseaud (FRA) appointed interim Chairman of IWSF World Wakeboard Council by IWSF Executive Board. • 2000 1st IWSF Wakeboard World Championships, Montpellier, France. • 2001 Wakeboard enters World Games for 1st time in Akita, Japan. • 2002 IWSF Wakeboard World Championships travels to South America (Brazil) for the 1st time. • 2004 Rider of the year commences and Philip Soven (USA) is voted male rider & Caroline Jansson (SWE) voted as female rider of the year. 92 Federations Worldwide support on WWC through IWWF. IWWF Wakeboard World Championships travels the World, and since the decision was taken in 1999 to hold an IWWF World Championships, the prestigious event has been held in Montpellier – South of France, Sun City – South Africa, Rio de Janeiro – Brazil, Sydney – Australia, Seville – Spain, Moscow – Russia, Chuncheon Korea and Milan – Italy. Creating history – the greatest number of international countries/federations in the history of the sport gathered in Milan, Italy in August 2011 with 198 riders from 36 countries to compete.